A higher intake of dairy foods, such as milk, yogurt, and cheese, is associated with higher bone density, especially in the spine, in older men, according to a study published online March 30, 2018, by the Journal of Bone and Mineral Research. Men in their 50s do not experience the rapid loss of bone mass that women do in the years following menopause. However, by their late 60s, they lose bone mass at the same rate as women. These changes can increase their risk of osteoporosis and fractures. The study included more than 2,500 people, including about 1,520 men with an average age of 50. The researchers asked about the people's dairy intake and measured their bone density with CT scans. They found that higher dairy food intake correlated with higher bone density in men, but not women. On average, the men consumed 11 servings of low-fat milk, yogurt, and cheese per week, or 1.5 servings per day, which is half of the Institute of Medicine's daily recommendation for dairy food. The researchers noted that if the men met the higher daily amount, their spinal bone density in particular would have been higher. 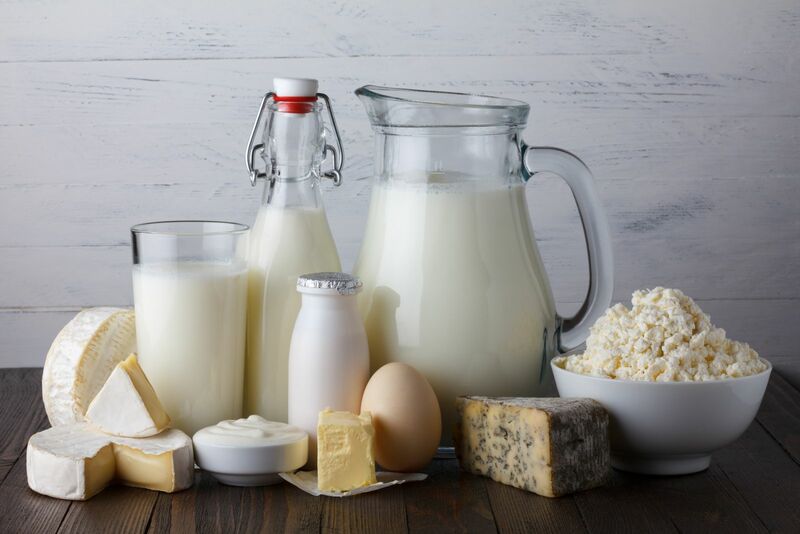 While calcium is an important bone-building nutrient, dairy foods contain other vital ones, like vitamin D (in fortified dairy foods), protein, magnesium, and potassium. Therefore, the benefit is likely from a combination of these nutrients, according to the researchers.